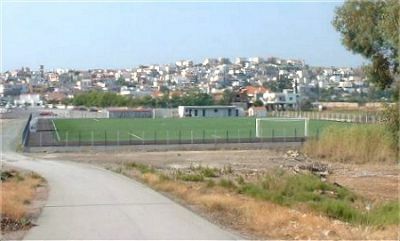 Ermioni has a brand new astro turf football pitch. It cost them a fortune. Also the market area leading to it has been tarmaced and the waterside promenade has been extended along with lights and seating by the moorings. All the main roads into Ermioni have also been widened and tarmaced. By the way lots of people visiting Ermioni this summer said how much they like ermioni.com and the idea of using the dog as a guide. Julia. Ermioni.com would like to welcome the community of Ermioni and the whole Argolis area to write about why they love living in and around Ermioni. We are looking for people to write about news, events & attractions in the region, to be added to the Ermioni website to help promote the Argolis area, and also let people around the world know what's the latest local news. Q: Do you have some free time and would like to contribute to the Ermioni.com website? Guide - All pieces must be in English - We can't guarantee that every piece submitted will be added to the website - If you have any other ideas of things that could be added to improve the website please email us, and we will see what we can do.